Panhandle of the Florida pensinsula. It runs from Wakulla County on the west end through Jefferson, Taylor and Dixie counties to Levy County on the southeast end. It may also include Franklin, Gadsden, Leon, Liberty and Madison counties. 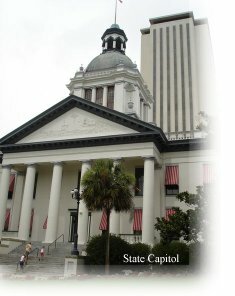 The principal city in the region is the capital city of Tallahassee. The City of Tallahassee, the county seat and only incorporated city in Leon County, was established in 1825, following a decision by the legislature to locate the capital of the new Florida Territory midway* between the population centers of St. Augustine and Pensacola. 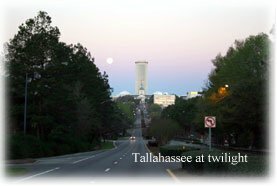 Tallahassee, named for the “old fields” that it once encompassed, earned the title early in the 16th century from the Apalachee Indians who inhabited the area. Today, Tallahassee exemplifies not only the influence of the Indians, but also that of the Spanish, French and English who occupied the area in succession. The extended metropolitan statistical area of Tallahassee had a population of about 240,000 in the 2000 U.S. Census, and continues to the present as the capital of the state of Florida, the fourth most populous of the 50 United States. Tallahassee if the site of several universities and a large community college. Florida State University, a Research I university, is home to more than 40,000 students. Florida Agricultural and Mechanical University serves approximately 12,000 students. Tallahassee Community College serves more than 10,000 students, and also hosts upper division courses for Flagler College, Embry-Riddle Aeronautical University, St. Leo University, and Barry University. Keiser and Barry Universities also offer separate undergraduate and graduate programs in Tallahassee. Geographically, Tallahassee is close to both the Gulf of Mexico, a mere twenty miles to the south, and to Georgia, fourteen miles to the north. Tallahassee’s rolling landscape, typical of regions further north, is unique among the major cities of Florida. Some areas of the county, including the downtown ridge encompassing the Capitol complex, City Hall, and the County Courthouse, exceed elevations of 200 feet. The abundance of trees and timber is a resource uncommon to many other areas of the state. The beauty of the local trees is exemplified in Maclay Gardens State Park, which is the site of several of Florida’s champion trees, including the flowering Dogwood, the Hawthorn tree, the Horsesugar tree, the Sweetbay Magnolia, and the Silverbell tree. 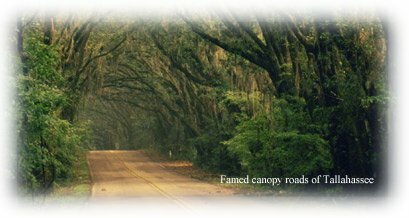 These trees and others, including the great Live Oak, often extend their branches over the roadway to create a canopied effect, a feature which is held in high esteem by local residents and visitors. Seven roads within Leon County (Old Bainbridge, Meridian, Centerville, Miccosukee, Old St. Augustine, Sunny Hill and Old Centerville) have been officially designated as “canopied roads” and enjoy limits on roadside development, serving to protect the trees. allahassee has the mild, moist climate characteristic of the Gulf States, and experiences a subtropical summer similar to the rest of Florida. 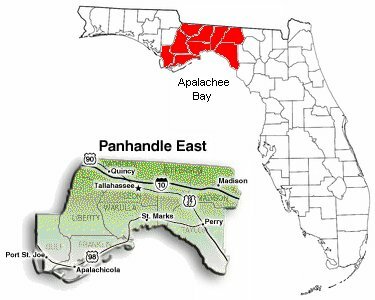 In contrast to the Florida peninsula, however, the panhandle, of which Tallahassee is a part, experiences four seasons. Prevailing winds average 6.5 miles per hour and are from a southerly direction in the spring and summer, then shift toward a more northerly direction later in the year. Although economic activity in Tallahassee has traditionally depended on state government and its two state universities, several light industry and technology-related businesses have been spawned by the presence of “Innovation Park” a high technology incubator fueled by activities from both state universities. Economic development in the community continues to pursue industrial employers whose work is compatible with this high technology incubator. Surrounding counties” economies are based on agriculture, manufacturing, and tourism, and these components continue to depend on Tallahassee as a transportation and educational hub. In addition, Tallahassee is an important “jumping-off” point for tourists headed to the beautiful and still relatively pristine beaches of the Eastern Gulf of Mexico, which vary from 45 minutes to 2 hours travel time from Tallahassee. *A legend has been told many times over that in deciding where to locate the new capital of the Florida territory, two horse-drawn carriages were sent out at the same time from Pensacola going East and from St. Augustine going West. Where these two carriages meet is where the capital will be established. That St. Augustine is at least an hour closer to Tallahassee says something about how slow one of the horses (purposely?) must had been driven.